October is here and we’ve got a fun and festive collective just in time for Halloween! 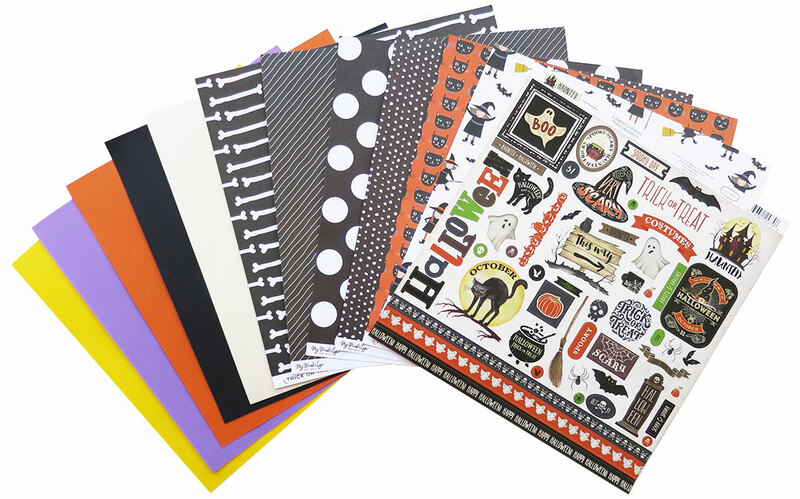 Inside you will find a gorgeous patterned and designed 12" x 12" My Mind’s Eye, Trick or Treat paper collection. This collection is perfect for all your Halloween fun with adorable bats, cats, spiders, and more spooky elements. The colors in this kit includes the must have orange and black and also yellows, purples and greens.